Brown paper carrier bags with twisted paper handles. Ideal for a wide range of fashion items. Size: 320mm x 420mm + 140mm. Constructed from 100GSM paper. 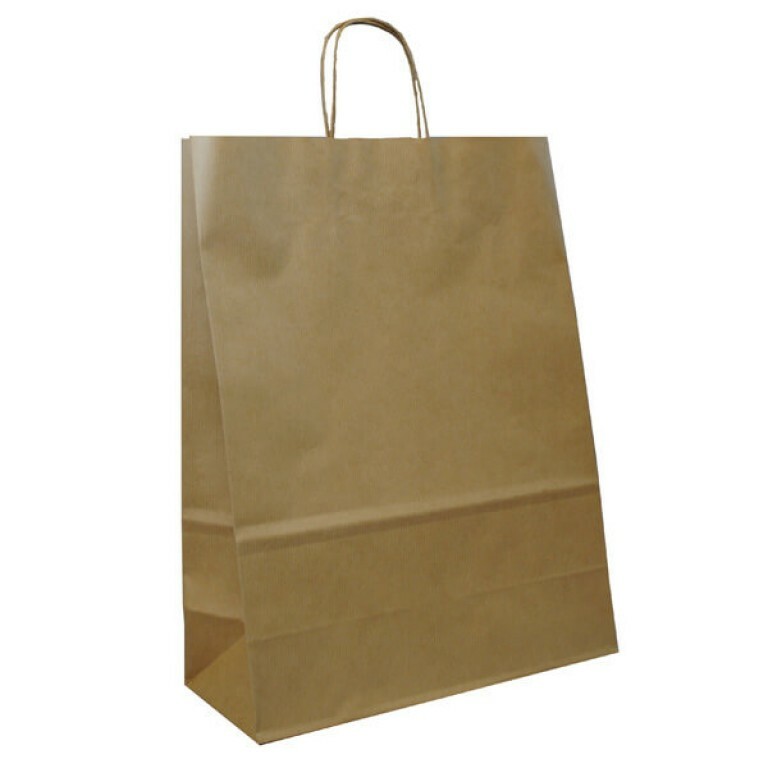 Our range of twist-handle paper bags are ideal for fashion retailers selling garments, gifts and accessories. The range includes over 35 bags in fifteen different colours and four sizes. The twisted paper cord handles are attached to the bags with double-reinforcing sheets. This construction ensures a strong, reliable and comfortable carrier. These paper carrier bags are fully recyclable and made from 80-100GSM paper. Once opened, these paper carrier bags have a flat bottom and side gusset which increases the bags' capacity and allows them to stand upright, even when empty. Traditionally, carrier bags using this design are known as 'Self Opening Satchel', or SOS carrier bags.